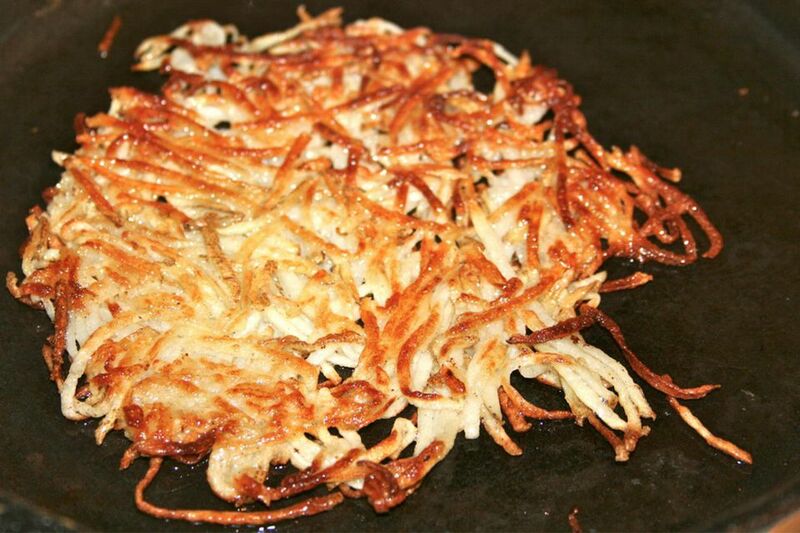 This simple recipe for hash browns is made from shredded potatoes that are cooked in hot butter and oil until crispy. They can be prepared on a griddle or a skillet. When the potatoes are browned on the bottom (about 10 minutes, but don't let them burn), flip them over and brown the other side until very crispy. Season the hash browns with salt and pepper and serve.